- Start recordings back home on your Mac immediately or schedule them for later. 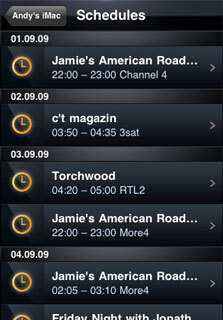 The companion Mac used with the app must be running the EyeTV software, version 3.2 - which was just released today - or higher and it must have a compatible TV tuner connected to it. 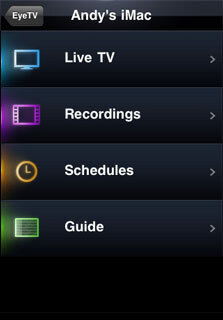 In order to view streaming live TV on an iPhone with the EyeTV app, the companion Mac must have an Intel Core 2 Duo processor or better. 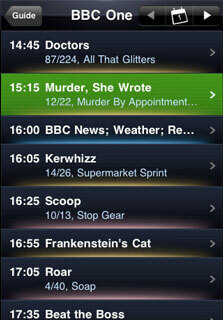 The EyeTV app costs $4.99 and can be found in the App Store here (link opens iTunes).